Wow! Its been an incredibly busy few weeks. Our creatives have visited 11 schools and conducted workshops with 1215 young people. We have discovered some exceptionally talented young people and we are delighted to be able to provide them with an opportunity to join our professional cast on stage in The Wind Road Boys. The Wind Road Boys will be staged at Spennymoor Town Hall on the 9th/10th March 2018. This show has received great critical acclaim and has been touring since 2012. Take a look below for some clips and photographs of the school workshops. You may even spot a few people you know! We have found so many talented people in the Spennymoor Schools. We thoroughly enjoyed our visits to Ox Close Primary School. “I was extremely impressed with the professionalism of the session and how engaged all of the children were. The fast pace of the routines kept the children alert and interested. I’m looking forward to seeing the show in March.” Cllr Dean Raynard. “A very enthusiastic, fast-paced session with year 5s and 6s. All children were engaged and keen to take part. Even children who would not normally enjoy performances were seen to be taking part and enjoying themselves – Thank you!” L. Woods. We thoroughly enjoyed conducting workshops in Middlestone Moor Primary School on Wednesday. 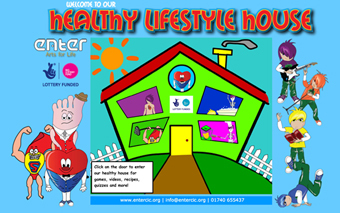 “Expectations of the children were extremely clear from the start and of the highest standard. Every child was included and expected to give nothing, but their best. An excellent introduction for children to the discipline required to be successful in theatre.” S Sheard. The team thoroughly enjoyed working with the wonderful children at Dean Bank Primary School on Friday. Its been a busy few weeks for the Enter team. 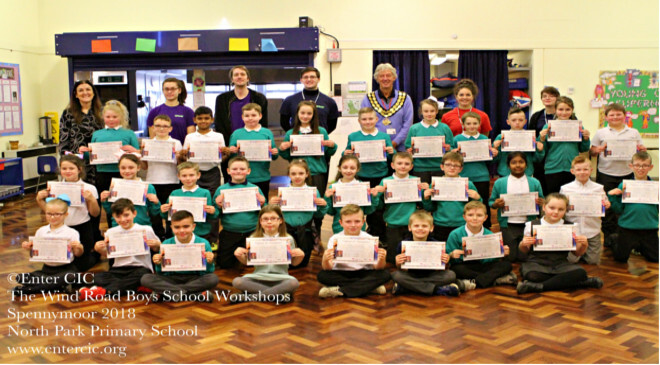 Our final workshop in the Spennymoor Schools was conducted at Rosa Street primary school. 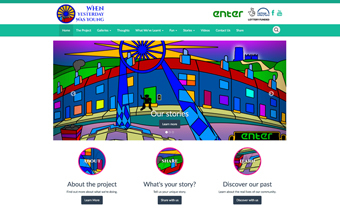 On Tuesday we conducted The Wind Road Boys Workshops in Tudhoe Colliery Primary School. Everyone had a fantastic time, here is a video with some images from our workshop. A wonderful afternoon in Byers Green Primary School. A busy week, but worth it! 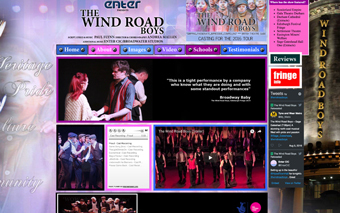 It has been an incredibly busy week conducting The Wind Road Boys Workshops. We thoroughly enjoyed visiting North Park Primary School yesterday, so many wonderfully talented young people in Spennymoor Schools. 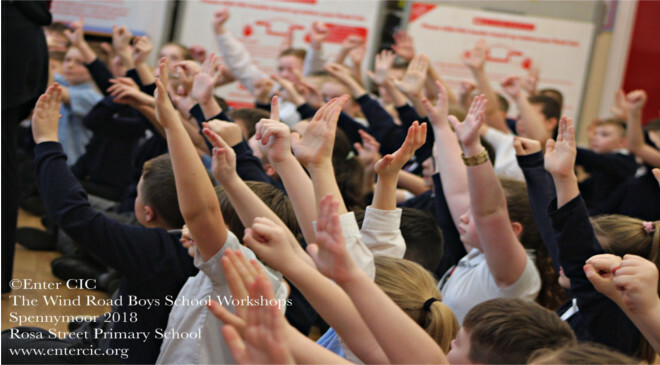 We have thoroughly enjoyed conducting The Wind Road Boys Workshops in Kirk Merrington Primary School. We visited St Charles RCVA Primary School and we had a wonderful time. So many talented young people with so much potential. The Enter Team and the Mayor and Mayoress of Spennymoor thoroughly enjoyed visiting. Thanks to staff and pupils at the school and the project supporters.